The 2019 Winter Season Tip-Off is fast approaching! A partial schedule has been posted - please note that once games are scheduled, they are final. To locate your team schedule, just click on your team name in the standings and then click the Schedule tab. 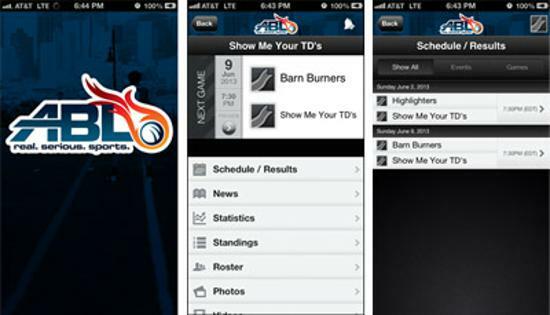 We also encourage you to download our free app - just search for 'ABL' in the app store! Great tool for accessing schedule, standings and stats. *REMINDER: If you are playing in the league, you must sign off on the electronic waiver. Please take a moment to do so now if you haven't already. FORFEIT POLICY: If you cannot make a scheduled game, or if you are unable to get the minimum (4) players at the court within the 10-minute grace period beyond the start-time for your game - it will result in a 20-0 forfeit loss. *Forfeit penalty is $80 per team. The fine must be paid before your next scheduled game. To avoid the fee, you must let us know 48 hours in advance that you are forfeiting. Please note there are no reschedules. The Season: Each team will be scheduled to play 10 regular season games. The top 4 teams in each division will qualify for the playoffs. Teams will play 1 game per week (occasionally 2 games per week) on either a Tuesday or Sunday night. *Also, teams are required to have matching, numbered jerseys. If you do not have jerseys, we have a limited supply for $15 each. Please be on the lookout for the rest of the schedule, which should be posted up next week. If you have any questions on the season, please have your team captain email league director Rob Gray at rgray@ablsportsleague.com.